Excited about audiobooks? Want to get your fiction or non-fiction book ready for the audiobook market? Audiobooks are the fastest-growing publishing market, and audio-friendly writing skills can make your book really shine. 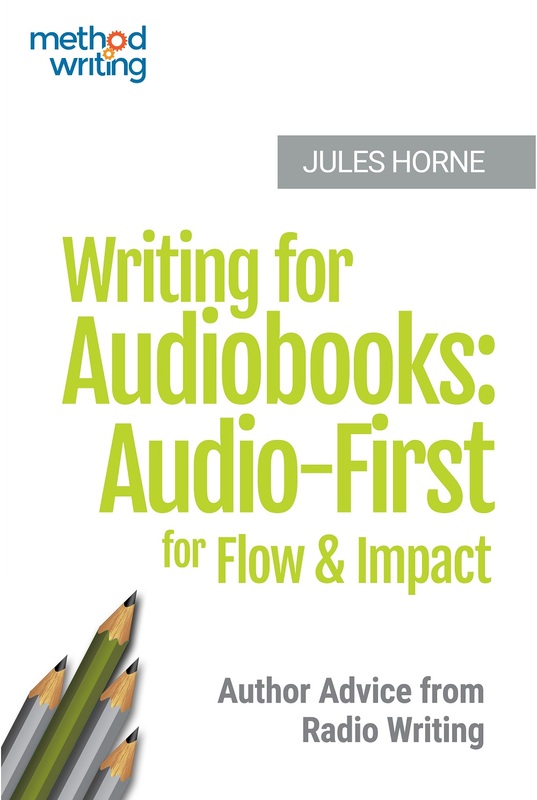 Whether you’re working with a publisher or narrator, or preparing a book script for your own indie audiobook production, Writing for Audiobooks will give you the extra performance-ready tricks and techniques needed for audio-first writing. Writing for the ear IS different. Understanding the differences can help you make a good book great for audio, and a joy to read aloud. as well as tips for briefing your narrator and polishing your writing for your own performance. The techniques in Writng for Audiobooks draw on the author’s many years as a professional writer of radio news, radio drama, spoken word and stage scripts. Jules Horne teaches creative writing for the Open University and is an award-winning playwright and fiction writer.